بني في 1998, Central Brunswick Apartment Hotel هو ميزة مُضافة لـ بريسبان و خيار ذكي للمسافرين. إن موقع الفندق الاستراتيجي، الذي يبعد 2.00 Km فقط عن مركز المدينة، يسمح للنزلاء بالوصول سريعاً وبسهولة إلى العديد من الوجهات المحلية المثيرة. يوفر الفندق بفضل موقعة الجيد وصولاً سهلاً إلى أهم معالم المدينة.
. يقدم Central Brunswick Apartment Hotel خدمات لا غبار عليها وكل أشكال اللياقة وحسن الضيافة اللازمة لإسعاد ضيوفه. تتضمن الميزات الرئيسية في هذا الفندق: واي فاي مجاني في جميع الغرف, خدمة التنظيف يوميًا, خدمة سيارات الأجرة, مرافق مخصصة لذوي الاحتياجات الخاصة, تسجيل وصول/خروج سريع. تتضمن كل غرف النزلاء وسائل الراحة والتسلية المصممة خصيصاً لضمان الراحة القصوى للضيوف. يقدم الفندق مجموعة رائعة من الخدمات كمثل مركز للياقة البدنية, ساونا, سبا, غرفة بخار، لجعل إقامتك تجربة لا تنسى. مهما كانت دواعي سفرك فإن Central Brunswick Apartment Hotel هو خيار ممتاز لإقامتك في بريسبان. ينبغي أن يقدم النزلاء نموذجًا صالحًا لهوياتهم الحكومية (على سبيل المثال جواز سفر أو بطاقة الهوية أو رخصة القيادة وما إلى ذلك) عند تسجيل الوصول. يجب أن تحمل بطاقة الائتمان نفس اسم النزيل الموضح بتأكيد الحجز. يفرض مبلغ تأميني لاستخدام البطاقة الائتمانية كإذن مُسبق قدره 100 AUD في الأيام العادية و200 AUD في أيام عطلات نهاية الأسبوع عند تسجيل الوصول؛ وذلك لتغطية أي رسوم/أضرار أثناء إقامتك. ويتم رد هذا المبلغ إليك بعد مرور فترة تتراوح بين 3 و7 أيام من تسجيل الخروج. يكون مكتب الاستقبال مفتوحًا من الساعة 09:00 صباحًا إلى الساعة 06:00 مساءً أيام الإثنين إلى السبت، ومن الساعة 10:00 صباحًا إلى الساعة 03:00 عصرًا أيام الأحد والعطلات الرسمية. 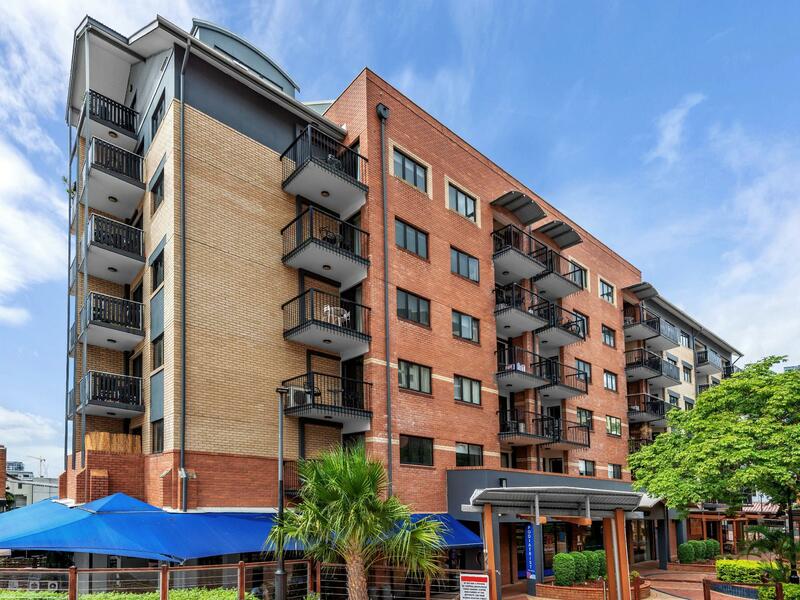 This was a great apartment close to Fortitude Valley train station. It was a convenient location to the CBD and near to trendy bars and restaurants in Brunswick and James Streets including a tasty Vietnamese called Grumpy G’s. We extended our stay from two to four nights and the apartment was clean, comfortable and well equipped. The only negative was that it was noisy on Friday and Saturday nights due to revellers in the courtyard. That aside,, I would recommend. Location was fantastic as its just at the outskirts of the city central. Lots of food and entertainment around, surprisingly wasn't noisy even though there were eateries and pubs around. Getting food and drinks at late nite is not a problem. Good secure parking and would recommend taking the leisure walk along Brisbane river to the city. Late night check in was a little confusing but was settled and having security guards doing regular clocking in is assuring. Aircon as a little noisy but because it's located in the living area it didn't bother us too much. It was like a home away from home. I was really surprised at how well these apartments have been decorated. I stayed here a number of years ago and was disappointed at the ageing facilities and warn out rooms and beds. Now they're tasteful and modern with a couch, surround sound blueray player and high def TV, cooking and kitchen facilities and a really nicely decorated bedroom with a very comfortable bed. A couple of things that weren't so pleasant really stick in my mind though they shouldn't detract you from staying here. Funnily enough I'd already read about these things in previous reviews. First the toilet needs a jackhammer or something to get rid of the stains. It's clean, but looks terrible. Second the guy on reception is very surly and humourless. I would have thought working in this industry customer service was important but he didn't make me feel welcome at all. On the upside, the bed is really comfortable and the central location is really important if you need to stay here. There is a carpark for the hotel which is a real bonus and the woman who served me on checkout was really friendly and warm. We had a lovely 2 night stay here last weekend. The room was massive, very clean, very comfortable and very well equipped. 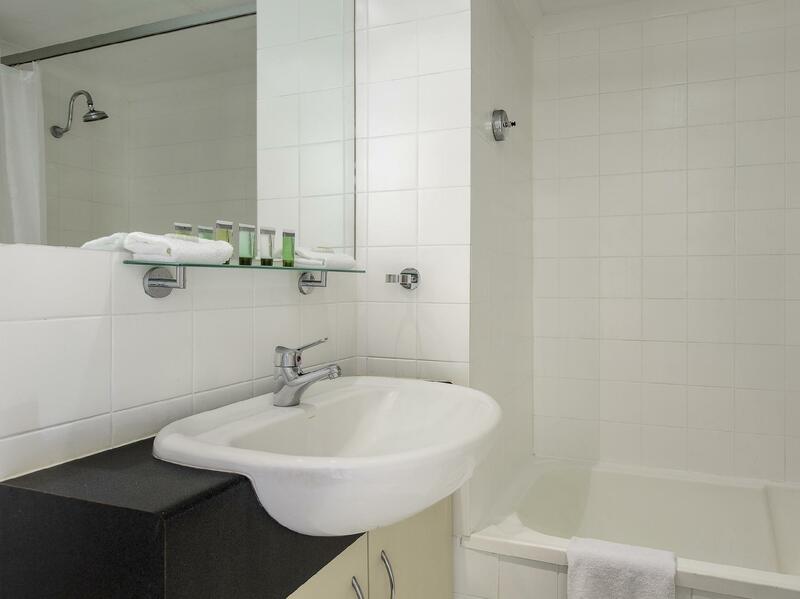 We will definitely be staying here again on our next visit to Brisbane as it was great value for money. This is a modern and clean hotel. It is nears lots of pubs, bistro, art houses and restaurants. It is also conveniently located in the central location. We found out from our local friends that it is considered a quite rowdy location. Everything was Ok during our stay and I suppose one has to be careful to stay safe. Will stay there again if they offer good rates. Have stayed here many times before. Rooms are modern and clean. Staff were friendly and helpful. Close walking distance to the Valley. The staff were incredible! The manager, she was lovely. Very onto it. Gave us an early checkin. Was such a good stay and in an awesome spot. Will definitely be staying here again/recommending it. The spa, though small, is very private and has a lockable door. The area was very clean and the water appeared to be regularly maintained. I have no complaints about the actual hotel i would stay there again,but the reception staff we encountered were far from welcome and not friendly or helpful.eg iwas bitten by wasp that were under a chair on our balcony,when i rang reception to see if they could bring something to spray them with i was not asked if i was ok or did i need anything.Lucky it was not a child that went out there.Its a shame because first impressions of a hotel is with front desk and these staff members are doing this hotel no favours. This hotel is not a fancy hotel but it has all the essentials, an adequate bed, small flat screen TV and a bath/shower. 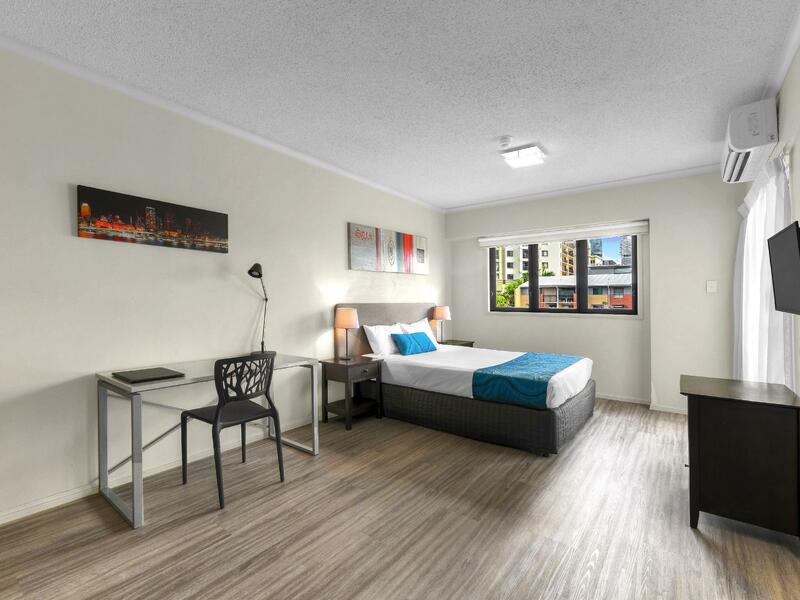 I was looking for a hotel in the fortitude Valley area in Brisbane under $130 and this was the only one. The hotel is nothing fancy but it is in a good location close to clubs and pubs throughout the area. Also it is clean and moderately furnished, the bathroom is dated but it functions. It is definitely not a 4 star hotel at the worst 3. Overall it's not bad, I've had worse and paid a whole lot more. We've stayed here around 4 times. Today we had a road facing room on 6th floor with balcony. I preferred the loft type rooms at the front. They seem roomier. A few annoying things were... no kitchen plug, no knob on the dryer, couldn't use it.The washer didn't work properly, no remote on the bedroom TV. Otherwise, perfect except for noisy people in the hall late at night. Had a great sleep! I don't like having to pay for parking. The room was total disappointment, upon check-in, as a guest I could visibly see the room was not cleaned properly. Worst of all, there is no air conditioning in the bed room for the so called "studio apartment". Words cant describe when I found out that they don't even have cable network, to top it all their publicity of having a gym, sauna and BBQ area is in disastrous condition and complete SH&%! The room service staff and some of the reception staff are rude to core and should not be allowed into hospitality service industry at all. For the manager who is going to reply to this post, please don't bother unless you do something about it because I aint coming back or my friends because the word will get around. Good stay, but hard to arrive out of hours as you talk to hired service that is offline and offsite, therefore who dont actually know the property. The extra effor of having to go see the staff the next morning is not burdonsome, but it adds a task that isnt there with other places. Didn't stay long as we were in the valley for a wedding. We had no issues. I was impressed with the kitchenette. You could stay comfortably for a long stay. I thought $10 a day for secure parking was good value also. I had a split-level refurbished apartment - very comfortable, staff were very friendly and engaging. Great location with easy walking to Brisbane CBD - though train station only a few minutes walk away. The property is well serviced with many food and bar outlets nearby. This hotel is a serviced apartment ideal for families. The location is ok if you want to visit the Judith Judith Wright Centre of Contemporary Arts and the nearby Chinatown. There are a number of nice cafes and restaurants around it. Right next to the hotel you can find Indian, Chinese and Thai food. There is a convenience store near it if you want to stock up on goodies. The hotel itself is simple and clean. If you are checking in before or after service hours, be prepared to wait for someone to open the door for you remotely. If all else fails, dial the number on the glass door. It is secure hotel but what I didn't like about it is that it does not have an in-room safe. The rooms come with a kitchenette, washing machine and dryer. If you get the room facing the road, then you will be affected by the noisy restaurant across the road, annoying bikers who think loud is powerful and the occasional sirens. Try to get the rooms facing inwards. The bathroom faucet is quite low so you either have to stoop or position the shower head upwards. This is a no-frills apartment. Great service, close to resteraunts, gym sauna spa. I booked a 3.5 star room through agoda. I decided to upgrade to a 4 star upon arrival for personal reasons. The staff we're happen to accommodate me as a room was available. Due to the local resteraunt an d dining facilities, ther was a little noise from below however the accommodation was quite tidy. Would stay there again. This hotel could easily earn 5 full stars if they worked on one small issue: dust. The location in the Valley area is phenomenal. The courtyard outside has 4-5 restaurants and a coffee shop. It's walking distance from all the exciting nightlife in the area, and Chinatown. If you head down Brunswick towards the river, you have a beautiful park just 15-20 minutes away (and they have live music for free on the weekends at the park!). The BEST coffee in Brisbane (LTD coffee) is just two blocks away. The staff at this hotel is fantastic. Courteous, knowledgable, and accomodating. They truly know how to make you feel comfortable and welcome. The room itself (we stayed in a 1 bedroom with a mini kitchen) is spacious and has a small washer/dryer. They provide laundry detergent and basic hotel-size shampoo and conditioner. The kitchen has a mini fridge, and main essentials for making / serving meals. The only reason I cannot give this location a 5 star is for two reasons: dust and the excessive bird droppings in the balcony. Although we did enjoy our stay, and would technically recommend it to my friends, I would warn that although the kitchen and bathroom were clean, the bedroom and living room were very dusty. The edges of the furniture had that grayish white powder from excess of dust that had been sitting for a long time. The table where the TV sat had a dust layer that really needed attention (I had to wipe it off with a paper towel). The second thing was that we were not able to enjoy the balcony because a family of pigeons had taken up residence in the balcony Air Con unit and it was covered with their droppings. The unit itself was covered, and the floor and table out there had droppings on it too. Even if the chairs / table hadn't had it on them, it was impossible to be out there because of the smell. We did not mind since we didn't care about sitting outside, but it's fair to warn others that might be interested in using the balcony.